Geckoboard is solving a problem that too many businesses have: what to do with all of this data? Within any given company, individuals and teams use a growing list of tools and services that cover things like marketing automation, CRM, customer service, social media, e-commerce, content management…the list goes on and on. Combine that with a company’s proprietary data, and many companies are often left with an abundance of siloed information that never seems to work in unison and is difficult to access, comprehend, and share with the entire company. The end result is that, more often than not, data is only used by the small group of people directly interacting with it. But there’s hope: Geckoboard sits in the middle of all of these disparate sources, making it possible to unlock data and communicate it with the entire company through simple, effective dashboards. Since 2010, Geckoboard has helped companies of all sizes track their progress and make data-driven decisions from a wide variety of data sources. 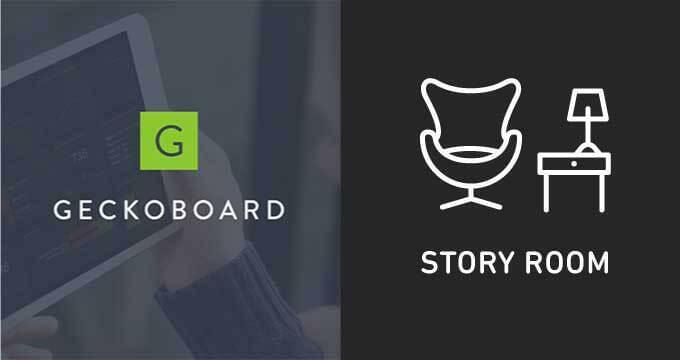 In addition caring to about data, Geckoboard cares about creating a great experience for its customers, which is why they chose Zendesk Support as their customer service software. “Satisfaction for customers is what it’s all about. Geckoboard is a SaaS company, and whilst we’re always trying to improve the software we make, it’s equally important to us to make the ‘service’ part of the equation as good as it can be. 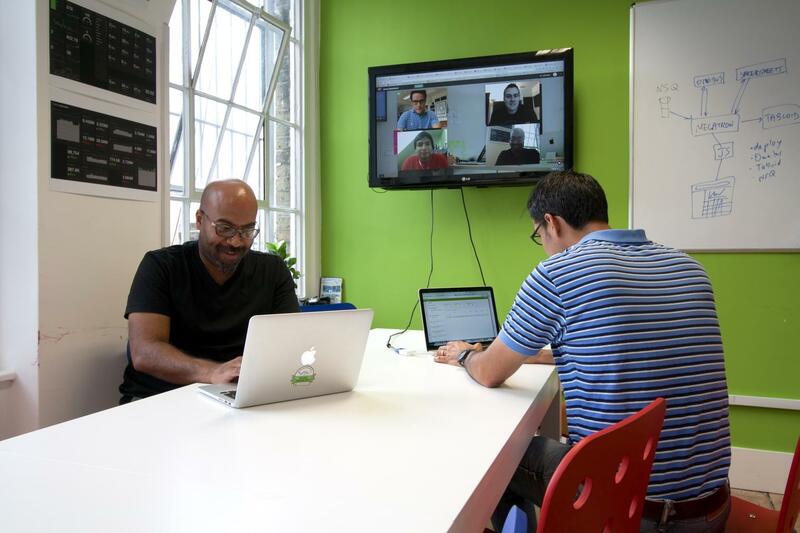 Zendesk Support helps us do that really well,” said Nick Smith, an official Growth Hacker at Geckoboard. 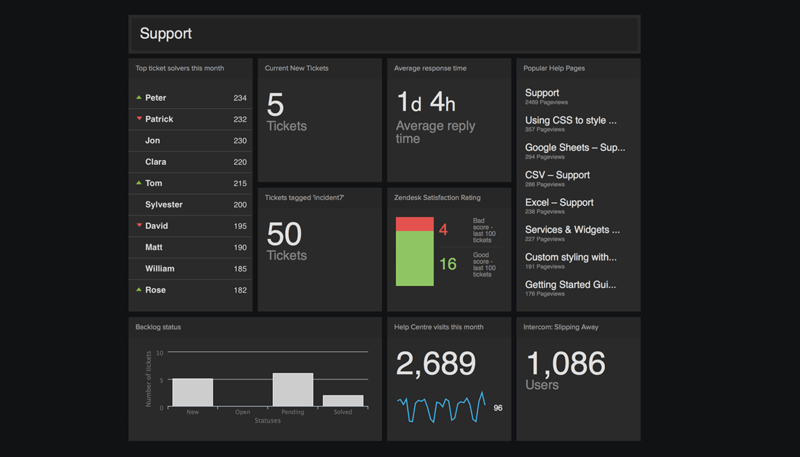 In addition to helping improve the customer experience, customer service data gives Geckoboard’s product team insight into how customers are interacting with the product. 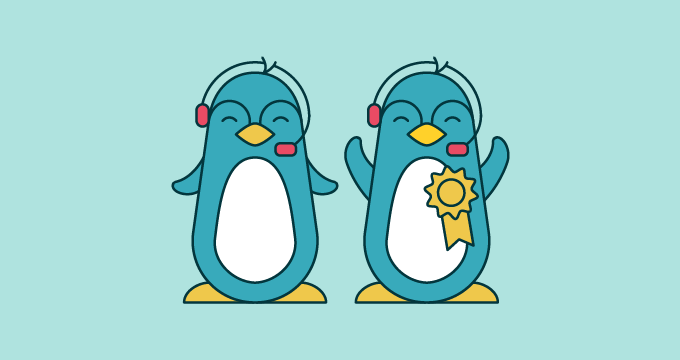 In fact, the customer success and product management teams worked on creating a set of categories for tagging tickets, which allows the product team make use of customer service data. For instance, integrations are vital to Geckoboard so they get their own tag. The product management team then uses this tag to track the most popular integration requests and to make data-driven decisions about the product. For customers, having their issue resolved in one interaction, rather than multiple back and forths, is often the difference between a good and bad experience. Recognizing this, Geckoboard takes advantage of Support web forms to ensure they get what they need to efficiently meet a customer’s needs.